In this article we will take a closer look at trailing stop loss – what it is, how to use it. You can easily use this with others trading tools or based your whole trading plan around it. We will see how to do it. This is more advanced material – I assume that you have some knowledge what price action is, how to use averages or oscillators. Anyway, I try to keep things simple. In my trading toolbox you can find indicators and templates which I use in my trading. Template names start with atr_. If there will be a problem with installation, let me now. 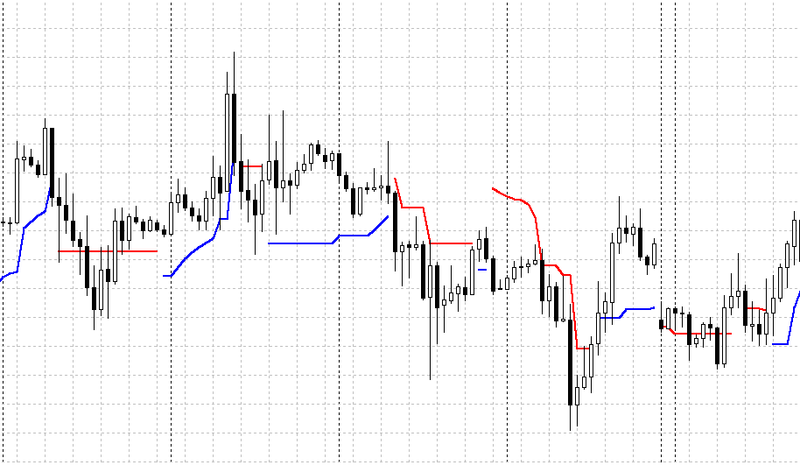 Trailing stop is a very good tool, when you have problem with closing positions. It is presented as a line which is away from current price. For a long position this line is below price and for short position it is above price. The distance between stop line and price is based on ATR indicator. your position is in minus – you are in stress because you are losing money. You know that feeling when you know you should be out right now and move on, but something is telling you “maybe it will back”. With trailing stop loss line it is more clearer to you. It is kind of mechanical trading – when you have long position and price moves below line then it is time to close. No second guessing. This is very confusing for new traders. You can see on many forums questions about best parameteres for trailing stop loss. Short answer is – there is no such a thing. Each instrument behaves different, even each Forex pair acts different. So what can you do? You simply change settings for current instrument based on history price action. You can see what settings worked best in the past. In my case I have basic settings for Forex and anoter one for stocks. If there is a need (I see it is not working so great), I change it for current instrument. Most often thoe – I stick with basic parameters (Kv 3.5 or 4.0, based on chart history). Like in life, the solution is somewhere in the middle. You should check price history to see which settings worked best in the past. WHICH TRAILING STOP LOSS SHOULD YOU USE? There are few types of trailing stop loss, but in Metatrader4 I use Chandelier Stops (sometimes called Chandelier Exits) popularized by Chuck LeBeau. Tip: if you are using Ichimoku, take a closer look at Kijun-Sen line. This line alone may work well as trailing stop loss. 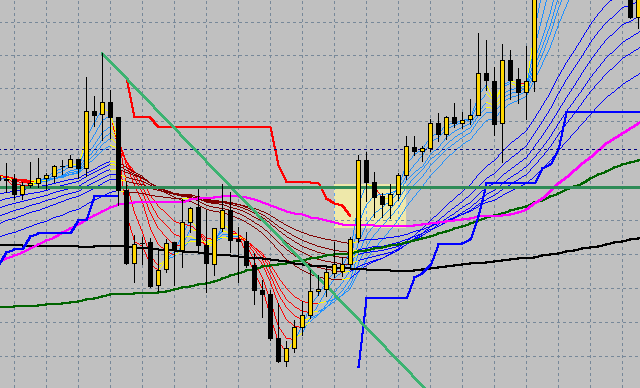 That is why I like Ichimoku – this is only one of components of Ichi and alone it is still powerfull. ATR isn’t some magical tool which will work great 100% times. Before placing a trade, you should check if conditions are met. The most important thing is the higher time frame. Scenario: you are on 15-min chart and based on your signals you want to go short. Price closed below stop line so you are good to go. But… on higher time frames trend is up. You decided to go short. The chances are that you will be stopped out. You should have confirmation from higher time frames that you are opening trade in a trend direction from higher time frame. 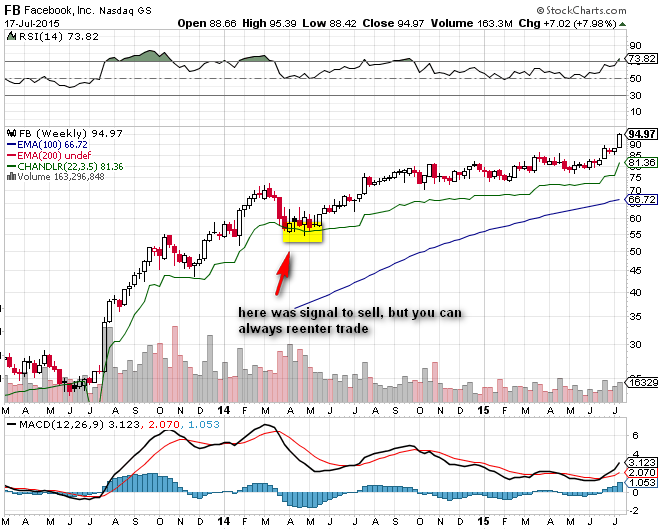 With ATR you can loose a lot of money in range move, because you will be stopped out often. That is why you should try to avoid range moves. You do not want to open a long trade right below resistance line, it is clear. For example you may have in your entry plan condtions that price should be above 100 and 200 averages, MACD should be positivie etc. I prefer to add some basics moving averages, thanks to that it is easier to decide if position can be opened. Concept is simple – when price is above trailing stop line, you are long. When price was above trailing stop and closes below it, you go short. In practice that can generate many false signals, so it is best to combine ATR with other tools like GMMA and Pivot points. GMMA lines are simple to use. They are build from two parts: short term averages group and long term averages group. When short term is above long term group, bulls are in control. If you are totally new to this concept, watch some videos on youtube – it will be all clear. We have also most standard averages, that is: 50, 100 and 200 SMA. Why them? They are most popular and most traders are checking them. Also, they work great as support resistance levels. Finally, we have our trailing stop loss lines. Lets check how they work together on examples. From that moment we can watch for trailing stop loss as our exit point. You can see that with trailing stop loss we stayed long until 191 level, so something like 400 pips of profit. Pretty nice, if you ask me. Yes, it is not often that easy. But even when it is easy (because trend is strong), you still do not know where to close position and take profit. Thanks to trailing stop loss – you do. Sometimes you may be stopped out several times before you catch bigger trend. That’s life. As I wrote before, higher time frames are very important. With GMMA you can easily check how situation looks like on higher time frames. GMMA, trend lines and trailing stop loss, eur/usd 30min chart. 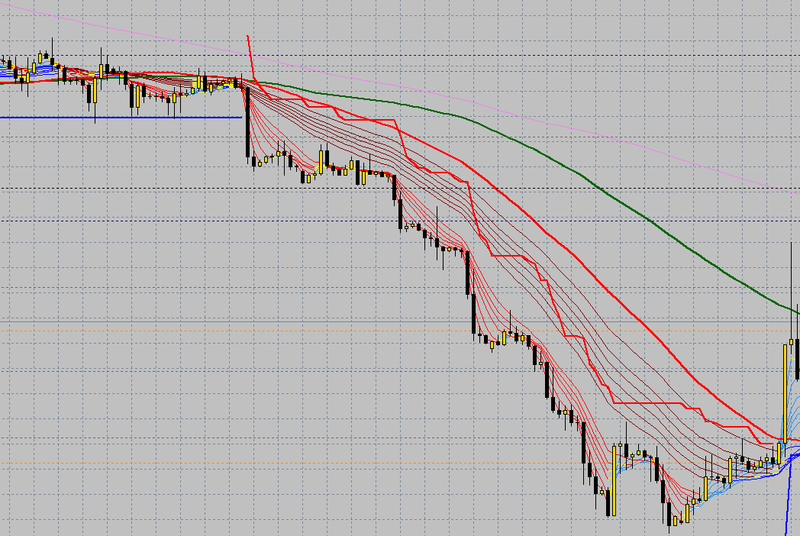 Another example, GMMA, trend lines and trailing stop loss, eurusd 30min chart. GMMA, trend lines and trailing stop loss, usd/jpy, 30min chart. 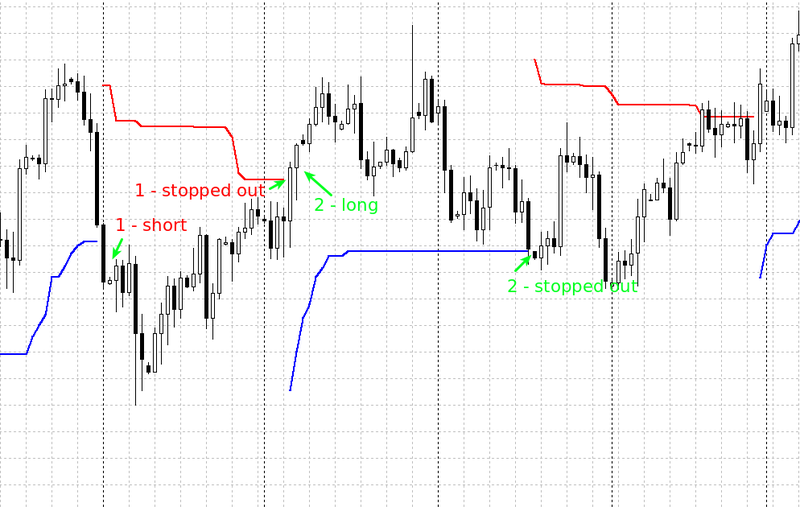 lowest time frames (1 minutes, x seconds) – I would check for hourly, 4-hour and daily pivot lines. I do not trade that low anymore. It may sound complicated, but it isn’t. When you start to use pivots in your trading, you will soon get which are best for current time frame. Why I like pivot points? First of all – they work. Traders around the world watch for them as possible support/resistance levels. I wrote support because you can’t be sure if price will stop at R2 or S2 line. But this levels are still posible targets. This is a valuable information, so you can include it in your trading plan. We are using ATR trailing stop loss, but with pivots and averages we have a clearer picture where we are. Which pivots and time frames I use most often? When it comes to ATR trailing stop – 30 minutes and 1 hour time frames, I watch for weekly and monthly pivots. They give us a good possible reversal targets. OK, now when we know why pivots are great, let’s check some examples of trades. You may notice that trades are not always based on ATR. Look at this like that way: you check first for condition to open long or short trade (you check higher time frames, pivots, moving averages…). If conditions are right and you have signal from ATR – you go with a trade. If you see a signal from ATR, but conditions are not met, you pass. Thanks to that you are increasing your chances of success and you will be stopped out less often. 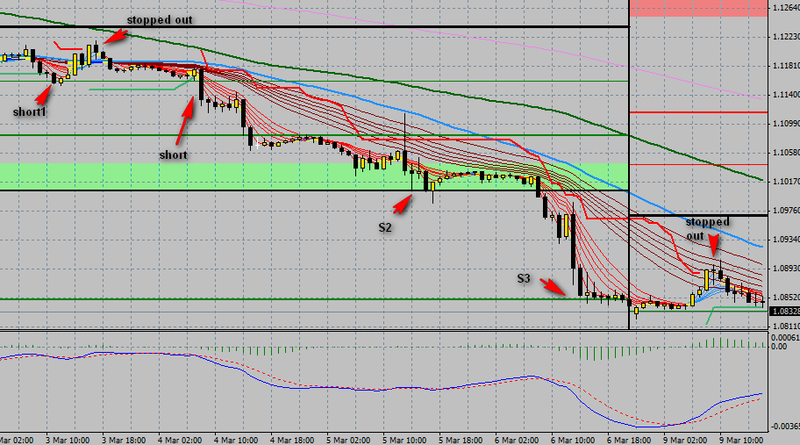 Situation: eur/usd is below pivot points, we have confirmation that trend is down. 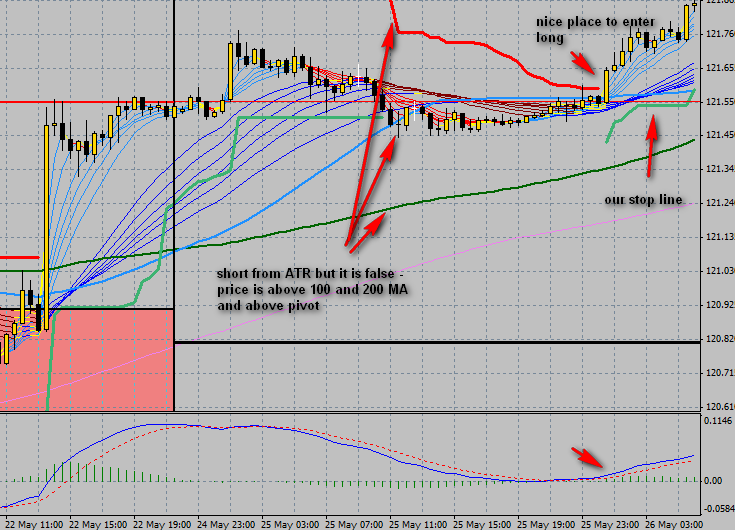 First trade: We saw a valid signal from ATR to go short, but we were stopped out few hours later. Next we saw a signal to go long from ATR, but it was clear that this is a correction (price below averages) and we waited. Second trade: another signal from ATR to go short. As you can see, trend got stronger and we saw a nice move down. 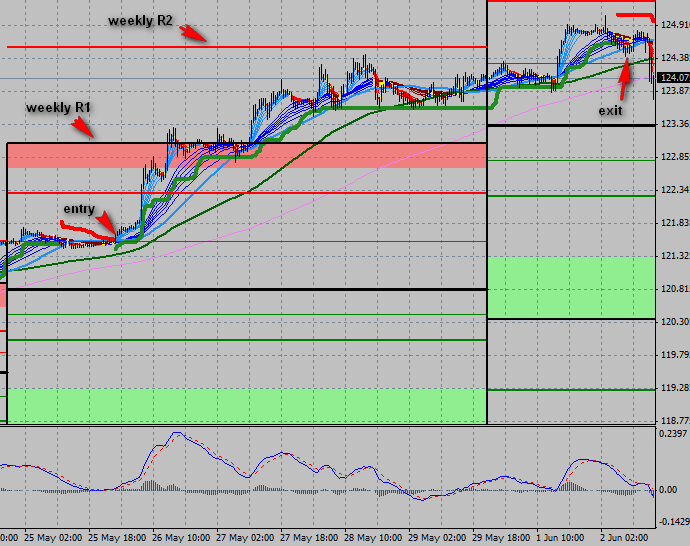 Price stopped at weekly S2 and S3 levels, This were good points to close part of position and take profits. You can see that we were stopped out by ATR the next day. It is not always that easy with trends. Sometimes it look like trend is strong, but its run out of power very soon. Check example below. We have here 30 min eur/usd. Let’s analyze it step by step. Situation: trend is down, but correction up is possible. Price is below weekly pivot line. Trade: We have a signal from ATR to go long, but signal is false. Price is right below pivot line which may be a strong resistance and reversal point. That is why we wait to see if price will close above pivot line (other conditions are met – GMMA and MA lines are positive). You can see that finally price closes above pivot line and goes up. We watch ATR line as our stop line. Soon price is near R1 line. We can do here a partial close or just watch ATR line. I prefer partial closes, because thanks to them I book some profit. 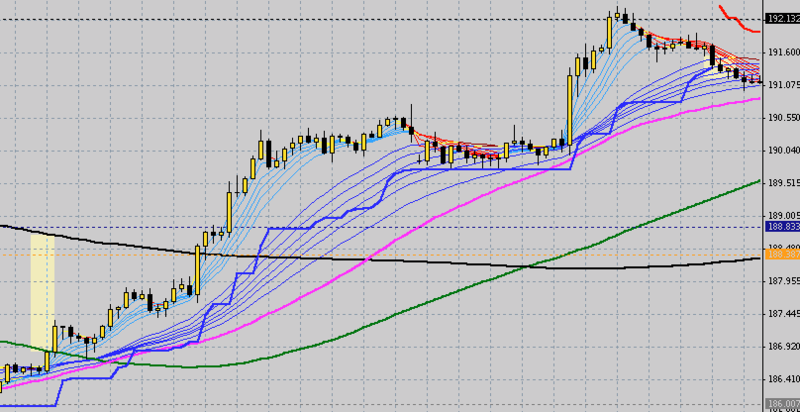 As you can see, R1 line is a top, after that we watch a reversal. In the example before it was best to wait for sell signall from ATR line, in this case it was better to do a partial close. As I said – I prefer partial close, because you never know which kind of move is that. Situation: trend is up, but we see a move down and sell signal from ATR. This signal is false, because price is above pivot line and 100 MA (also MACD line is positive). We wait and after a while there is a signal to go long. This one was correct. (continuation of a trade before): this was a strong move which lasted more than a day and gave a nice profit. 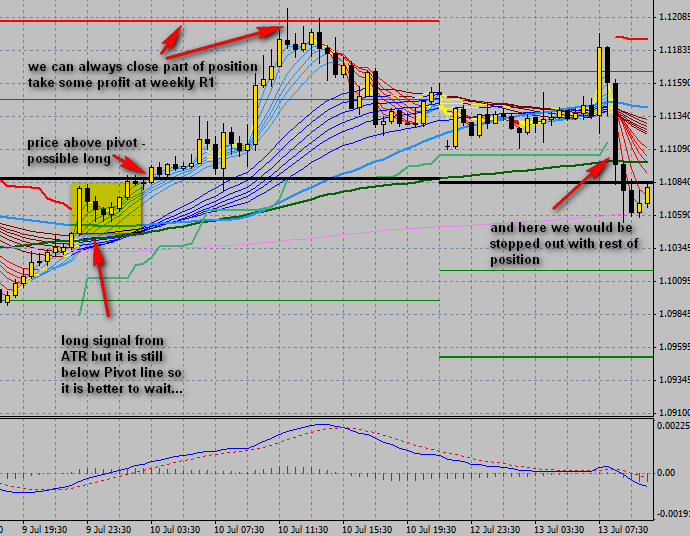 Trade was stopped out the next day, with circa 300 pips profit. That is a good example how great trailing stop can work. Let’s have a look at long term examples. These are weekly charts with ATR. 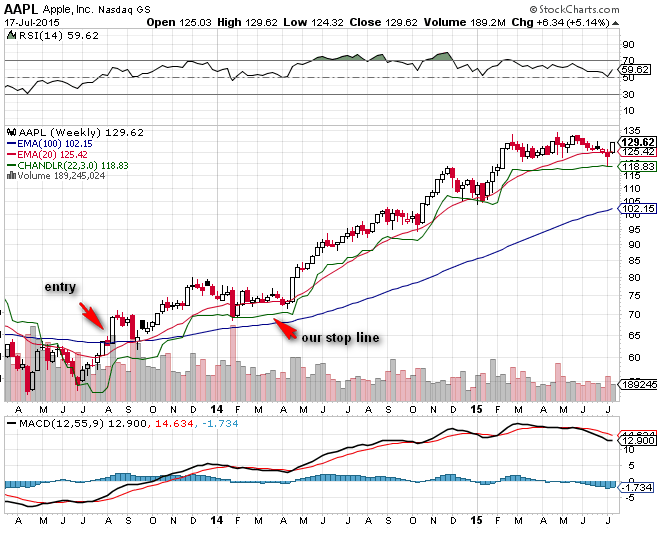 On this weekly Apple chart you can see, that signal to go long was below moving averages. It was best to wait for a clean close above them and then it was a good place to entry. In this example ATR line is set to 3.0 which is pretty close to the price. Thanks to the trailing stop you would be still in a position. Weekly USO. Price was here for a long time in a range move. There were even fasle signals to go short and long. 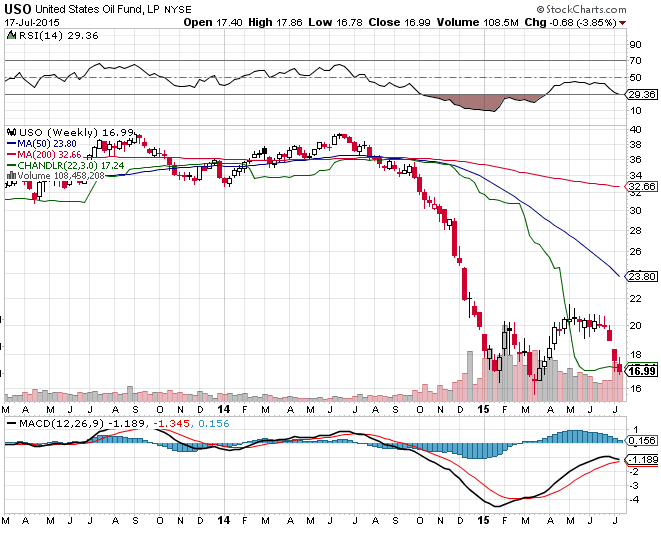 But in August 2014 there was a signal to go short, and thanks to that you could catch a nice move down. 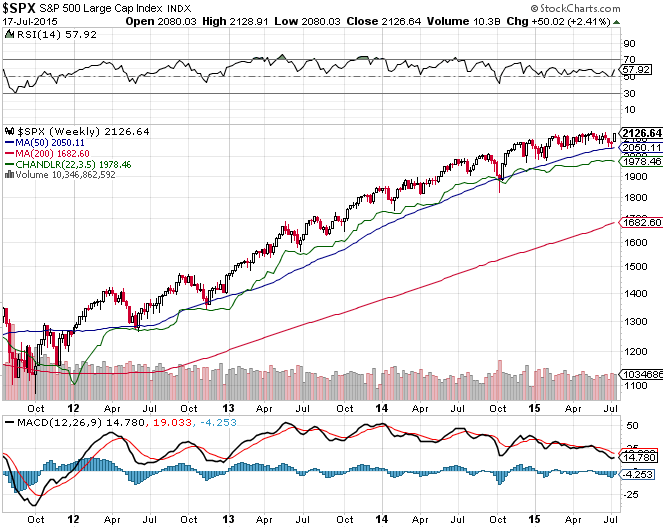 Yes, SPX is in very strong uptrend so even with simple averages you could catch most of it. Point is, when trend is strong you should have a system in place to keep with trend. During last few years we saw some stronger corrections, but thanks to the Chandelier Exits we were able to stay in trend and profit. This is basic 3.5 settings on weekly chart and effects are great. Sometimes you will get signal to go close position, but after a while trend will continue like in the example below. That is normal. You can always reenter previous trade. If you read my Fibonacci guide, you know that I prefer to close part of my position when trend is strong. That is something I learned on my bad trades – things may be great, but reversals can be very sudden and you will lost most of your potential profits. With pivot points (and Fibo extensions) I know where possible reversal points are. So when I am long and price hit R1 line I can close 1/3 of my position and leave the rest in the game. If price goes up, I close another 1/3 at R2 line. If price still goes up, I still make a profit because the other 1/3 left is in the game. 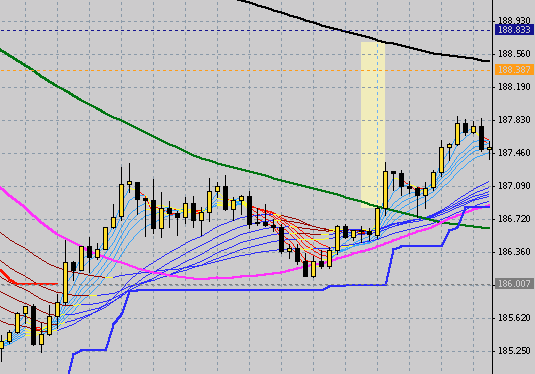 I can close it at R3 line or after sell signal from ATR line. It is up to you how you plan your trade. I learned that trend may be very strong and make you a lot of profit, but it can also be strong to the reversal point when things turn around in few seconds. That is why I got interested in pivot points and fibonacci extensions. These are only possible reveral po ints, but still it is a valuable information. Of course it is not always clear that price is in range and you will open position and take a loss. Important thing is not to overtrade in range market. You have to identify range and wait for breakout from range. How to recognize range move? It is not simple and you can’t count on indicators. You should follow price action. If price fails to make a new low or new high then you should place horizontal lines on chart on previous AB move. How to avoid it? There is no way to avoid false signals. That’s trading – some position will be closed with loss and that is fine. Things I wrote before like checking trend on higher time frame should help you minimize that. ATR is a great tool, which can help you earn some good dollars. 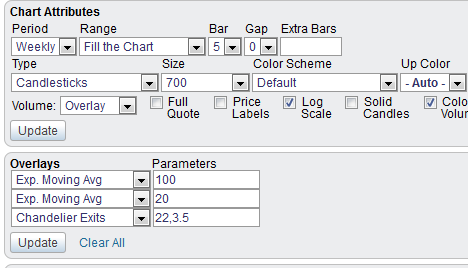 I showed you how I use it – with GMMA and pivot points. If you trade with different set of tools, that is fine. You can join trailing stop loss with many other indicators and trading techniques. I hope that this article gave you some ideas how you can use ATR. Fibonacci Retracement trading – how to use it?